In 2059, the computer under your desk will not exist. In fact, the very definition of a computer will change, as will the gadgets we carry around, the data centres used for storing information and the electronics in our living rooms. Stan Williams, the noted HP researcher, says that technology changes by a factor of 100 every 10 years. In the movie 2001: A Space Odyssey, the HAL computer used something called "optical storage" – a medium so commonplace now they are used for throwaway marketing. "In a few decades from now, our current concepts of a PC and IT in general will seem so quaint and arcane that the only place to see them at all will be in old attics or museums, where they will sit next to an abacus and vacuum tube computers, and seem very alien to those being born now," says Williams. In fact, most researchers believe the technology we will use in 2059 has not been invented yet. Imagine the scenario: those who were born in the last 10-15 years have grown up with the Internet and computers. They are what Gartner Group calls the "natives" (and the rest of us are immigrants). What will they invent when they are 50 and become the leaders of their generation? But despite this, even today there are some glimmers that showcase how technology might look in 50 years. According to Stan Williams, photonics will change the very definition of a computer. "Fifty years from now, any time information of any type is transmitted over a distance of more than a millimetre, it will be carried by photons," says Williams. The technology uses light to move data, and is already used in fibre optics to connect two server racks. In the future, photonics will be used for PC interconnects and will even be used inside the CPU. That means there will be no need for copper or metal inside a PC. In the far future, there's no reason why a computer could not exist in "free space" with no confines. In 10 to 20 years, supercomputer design will finally move to exascale, or millions of trillions of operations per second. 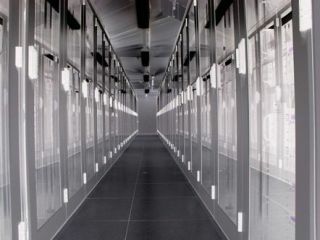 According to Mark Seager, Chief Architect of HPC development at the Lawrence Livermore Lab in California, even the move to exascale (one thousand times faster than a petaflop) will require inventing new technologies, especially related to storage, power, and interconnects. A move beyond that - to zettascale (1,000 times faster than exascale) - will also require paradigm shifts. Yet, the benefits are clear: protein weight measurements for cancer research will be easier, global climate analysis will help researchers predicate warming trends more accurately, and the most complex simulations - such as those that determine the effects of a global nuclear calamity - will be possible. IBM has already started a research project in its Almaden research centre to create a computer based on the human brain. As you can imagine, the processing power to mimic the brain will be immense - likely using supercomputers that do not exist yet. The idea is to use fibre channels in the same way as the brain - the microscopic strings that connect one part of the brain to another, and can interoperate at the same time. This will require new programming paradigms, making use of successive and concurrent channels all at the same time, using multi-core CPUs and redundant storage arrays. Other institutions - including the Allen Institute in Seattle - have also started mapping the brain using high-res mapping techniques. Already, companies such as Convenient Power and Wi-Power are working on prototypes that can charge your smartphone with no wires. Yet, in 50 years this idea will be commonplace. In 2059, it's possible that all gadgets, computers, and electronic devices - and possibly even your home and car - will be charged by wireless power. Wireless power works by transmitting an electric pulse as a frequency that only a specific receiver can read. In the US, NASA once proposed wireless charging satellites that would span the globe, but the idea never went anywhere. Yet, wireless charging makes sense because it reduces cables - in the same way that Wi-Fi replaces Ethernet.